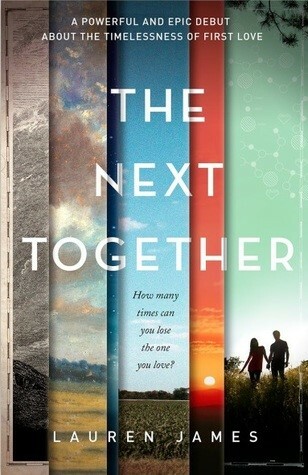 The Next Together is a story about two people who find each other again and again throughout history. It takes place during four different time periods with four pairs of Katherines and Matthews. The story moves from time period to time period even within chapters. I found this method of story telling to be kind of difficult to get into, but I really wanted to know how the pairs were all connected, and, as the story progressed, the potential for cross-over seemed to increase. Lauren James's book is a romantic adventure story, and I'm hoping we'll get a look at who controls the strings in the sequel, The Last Beginning, which comes out in the US in February 2018. Review copy from the publisher. 2016 is a glittery tech-utopia. It's the kind of world that the sci-fi of the 1950s predicted. That is until Tom Barron takes the first trip ever back in time and makes a colossal mistake. His return trip doesn't take him back to his 2016 but to ours. This alternate version of the world appears as an utter wasteland to Tom, but his family, his career, and his relationships have much more potential in this timeline. 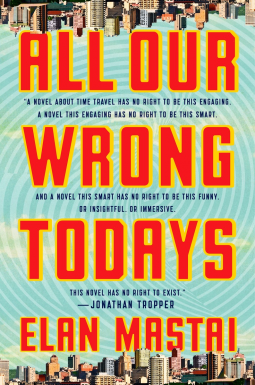 All Our Wrong Todays is a campy time-paradox conundrum that at the same time manages to be kind of heartbreaking and emotional. I really enjoyed Elan Mastai's debut novel. Review copy from NetGalley. 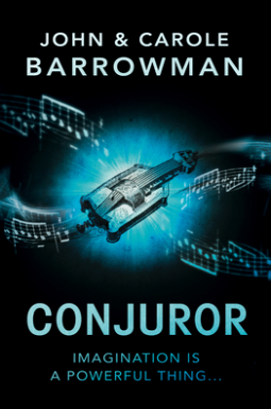 Conjuror was such a pleasant surprise. The book is about Remy, who can do magic with music, and twins Matt and Em, who can create magic with their drawings. I admit, the art was a major draw for me. Matt and Em can travel through paintings. There's also a bit of a time travel element because several figures from the past travel through paintings to the present. Some of these travelers are even famous artists. Remy, Matt, and Em will have to work together to defeat some very dangerous (and disgusting) historical figures. This was my first time reading a book by siblings John Barrowman and Carole E. Barrowman , and it was a really fun ride. Review copy from NetGalley. All Farway Gaius McCarthy has ever wanted to do is to follow in his lost mother's footsteps and become a time traveler. As the only child to ever be born outside of time it seems only fitting. And Farway is good. The best. Destined for greatness. Until his final exam is sabotaged. With no other way to live his dream, Farway takes a job as a time pirate. With his handpicked crew, he steals from the past. And then the saboteur shows up at a job. 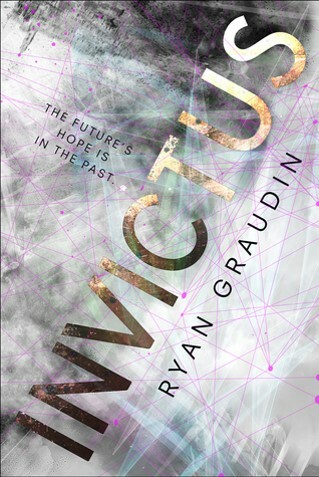 Invictus by Ryan Graudin is a lot of fun. The characters are snarky and belong together, the stakes are incredibly high, and the time paradoxes are headache inducing. (That's just how I like them.) Review copy from NetGalley. Wellcome Valley was a quiet place. Eddie Dane had his best friend and his grandmother but not much happened until Scarlett came to town. Scarlett's arrival ushered in a murder, an accident, an investigation, and a long-lost family member. Now Eddie is trapped in a time loop reliving the same day over and over again. No True Echo was a surprising delight. The concept of trying to discover the true timeline through an increasingly complicated investigation was so trippy. (Just how I like my time travel novels.) 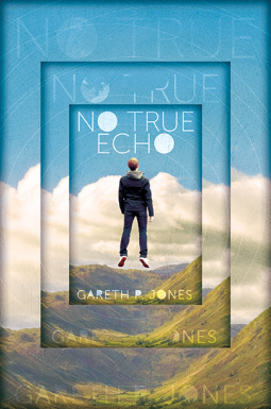 I'd recommend this one by Gareth P. Jones to the true time travel diehards. Review copy from NetGalley.